In search for a fast way to boost your PlayBook?. OUTPUT: 12V, 2.0A, Compatible with the BlackBerry PlayBook tablet 16GB 32GB AND 64GB. Playbook Device not included. ORIGINAL Blackberry OEM Product Not after Market Junk! - 100% Brand New and High Quality - 5.6V 3A 3000mA Micro USB AC Adaptor with a Switch - Universal 100V-240V AC to DC power Adapter Charger - Input : 100V-240V 50/60Hz - Output : DC 5.6V 3A/3000mA 18W - Output adaptor jack size : MICRO USB Rapid Wall Charger For Blackberry Playbook Tablet Phone Micro USB 5V1.8A. Blackberry Series: Playbook 7.0". Reduces eye strain caused by the LCD screen. Protective circuit to prevent overcharging (IC chip). LED Indicator. SCREEN PROTECTOR. Screen Protector Protect your device's front LCD screen against dust, scratches and eliminate glare. In search for a fast way to boost your PlayBook?. OUTPUT: 12V, 2.0A, Compatible with the BlackBerry PlayBook tablet 16GB 32GB AND 64GB. Playbook Device not included. ORIGINAL Blackberry OEM Product Not after Market! BlackBerry PlayBook Tablet. 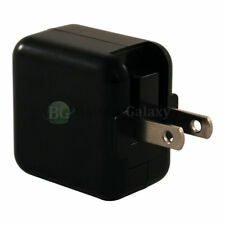 Also Compatible with Blackberry Device that has a micro USB Charging Port. - Blackberry Kickstart 8220. - Blackberry Pearl Flip 8220, 8230. 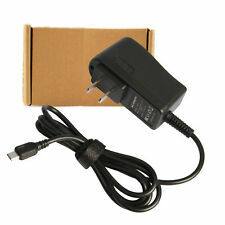 Input AC 110-240V / Output 5V-1.80A, with Micro USB Cable. 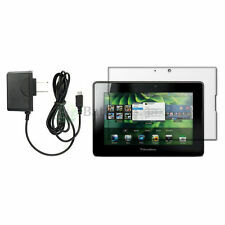 BlackBerry PlayBook Tablet 16GB 32GB 64GB. Short circuit Protection. BlackBerry PlayBook Tablet 16GB 32GB 64GB. This has a LED charging indicator. 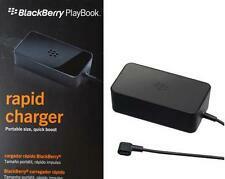 COMPATIBLE WITH :for Sprint BlackBerry 4G PlayBook (TABLET). (It will not work with 1st and 2nd gen tablet which use 30 Pin Connection). Provides power to your tablet while simultaneously charging your tablet's battery. Blackberry Series: Playbook 7.0". SCREEN PROTECTOR. Screen Protector Protective circuit to prevent overcharging (IC chip). LED Indicator. Protect your device's front LCD screen against dust, scratches and eliminate glare. Cards with 2 or more players will be decided by a diceroll or randomizer. Purchased in pre owned condition, never used since. Includes box, pouch, usb charging cord (not shown). COMPATIBLE WITH : for Sprint BlackBerry 4G PlayBook (TABLET). Provides power to your Tablet while simultaneously charging your phone's battery. Small and lightweight design for convenience, portability and storage. Works perfectly with the BlackBerry PlayBook tablet. - BlackBerry PlayBook Tablet. Works perfectly with the BlackBerry PlayBook Tablet. 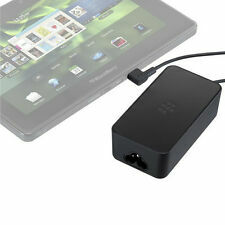 Also Compatible with Blackberry Device that has a micro USB Charging Port. LED Charging indicator. Output: DC. Tablet can still be used while charging. Genuine OEM high quality product. No exceptions! cord length 6F.